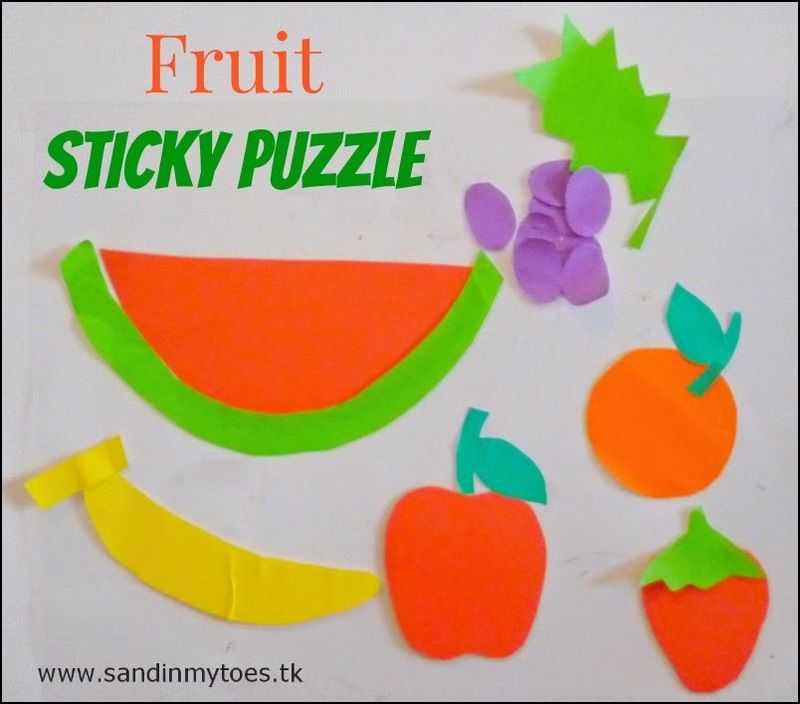 I love making puzzles for Little Dude because they are easy to create and there can be so many variations. 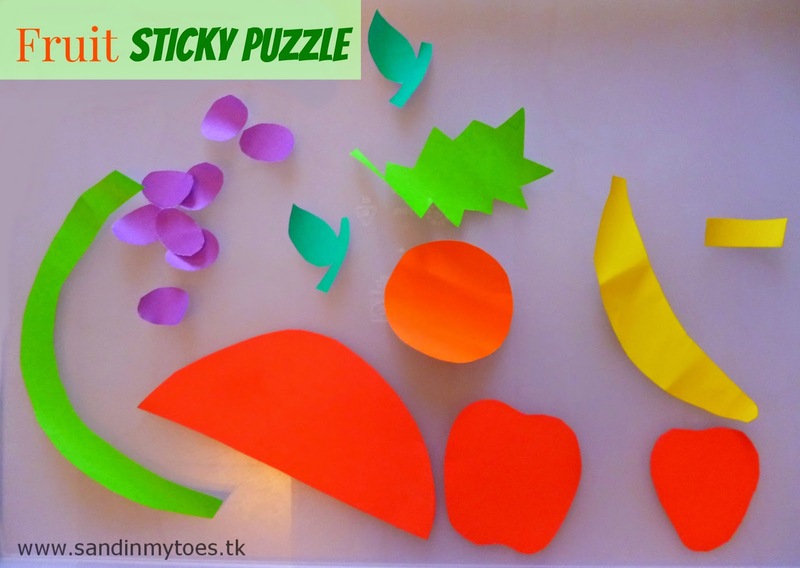 We made this Simple Shapes Puzzle and the Contact Paper Tree that he really loved putting together. 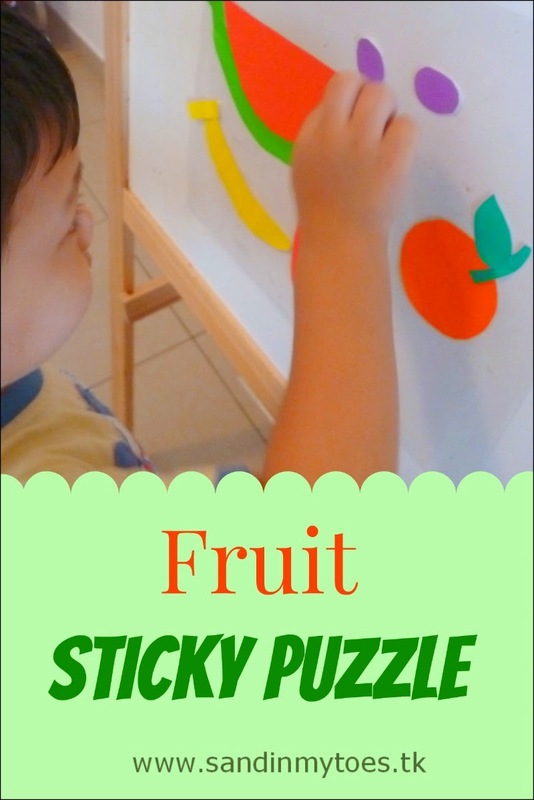 Our newest one was this one with fruits that was fun because of all the bright colours and our favourite medium - contact paper! The strawberry leaf isn't pictured above because I forgot to cut it until we had started, but you'll see it later! Stick one of the contact paper sheets on a window or white board or even a door using cello tape. 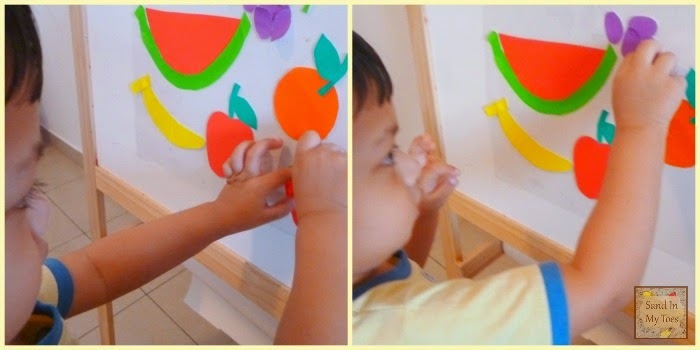 Little Dude put together the different parts of the fruits, with a little help from me. I asked him to name each one and it's colour as went along. I think he had fun with it, and here's the finished puzzle. I later put the other sheet of contact paper over it to preserve the artwork. Aweseq idea! 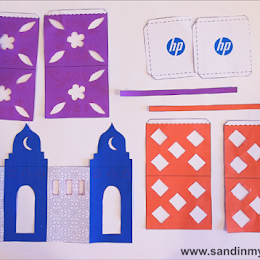 I am meaning to get the contact paper since the time I saw that contact paper tree on your blog but have been really lazy enough. I need to get going because this looks like super fun! 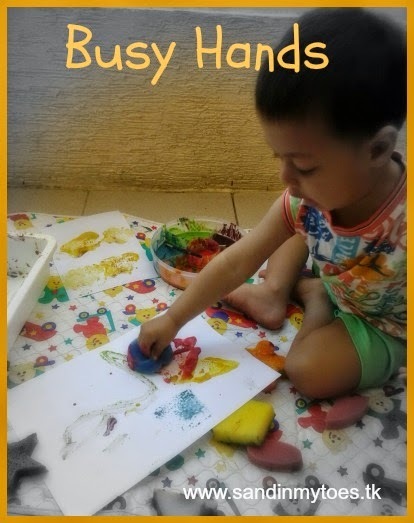 Lovely bright creative idea for toddlers. Fun and learning too. Best of all you get to keep it! 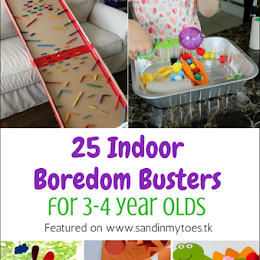 Looks like a colorful and fun activity!! Great idea - I'll have to do this with my little one. Thanks for sharing at the Love to Learn Linky!